A full 25 hours NPPL (M) training, some of which may be supervised solo depending on progress. Course includes some ground school. This course should get you well on your way to getting your NPPL (M). 30 hours, with 25 hours in the air. 5 hours dual helicopter flying training. Rates of progress will vary, but we would expect you to have covered all the early flight exercises in the syllabus. 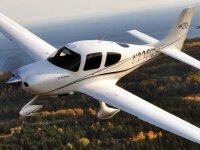 On completion, you will have logged 5 hours towards your Private Pilot Licence. 5 hours, with 5 hours in the air. 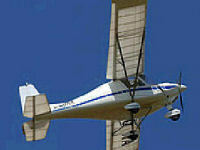 Flight training course with briefings, ground school and 10 hours flying in microlight aircraft. Your flight training will be provided by Mr. Deepak Mahajan who has more than 18 years of experience teaching people to fly. 3 days, with 10 hour in the air. 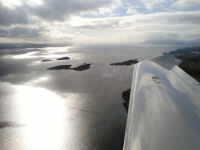 Get a great introduction to flying with a 5 hour introductory package with the 'Friendly Experts'. All the hours count towards the Private Pilot's Licence (PPL) course. 7 hours, with 5 hours in the air. The 5 hours training can be split into 30;45 or 60 minute lessons to suit your availability/requirements. Each lesson will include pre and post-flight briefings. 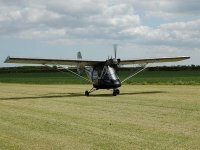 Includes 5 free landings AND Logbook.For total beginner or building hours. This package includes an equipment pack containing a Flight Training Manual, Aeroplane Checklist & Personal Flying Logbook. There are five hours of ground pre and post-flight briefing integrated within the first five flying training hours. 10 hours, with 5 hour in the air. An opportunity for aspiring helicopter pilots to spend a whole day, on a one to one basis with an instructor, learning about the avaition industry, helicopter piloting techniques and career prospects. PPL 'Starter Kit' including 3 hours dual flight training at John Lennon Liverpool Airport in a 2 seater Piper PA 38 Tomahawk. This voucher entitles the holder to an introduction to the NPPL Pilot's License syllabus and includes 5 hours dual flying tuition. Each hour flying will be accompanied by the necessary groundschool and briefings. Includes logbook. 5 days, with 5 hours in the air. This voucher entitles you to an introduction to the NPPL Pilot's License syllabus and includes 5 hours dual flying tuition in a weightshift microlight. Each hour flying will be accompanied by the necessary groundschool and briefings. Includes logbook. An opportunity for aspiring helicopter pilots to spend a day, on a one to one basis with an instructor, learning about the avaition industry, helicopter piloting techniques and career prospects. 1 day, with 2 hours in the air. The 3 hours training can be split into 30;45 or 60 minute lessons to suit your availability/requirements. Each lesson will include pre and post-flight briefings. 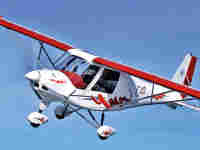 Includes 3 free landings AND Logbook.For total beginner or building hours. 5 hours, with 3 hours in the air. 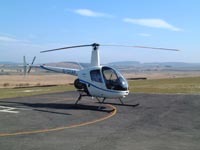 Your experience will include a Landaway at a local airfield for tea/coffee. During pre-flight briefing you will be able to discuss your preferred route with your instructor. Voucher valid for up to 3 people not exceeding 35 stone. 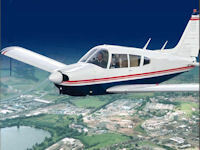 A supported distance learning programme, followed by a two day (or equivalent) revision course covering all EASA-PPL EXAM subjects (excluding the RT exams - available as an extra). Available for either Aeroplanes and Helicopters. 2 days, with 2 days in the air. This voucher entitles the holder to an introduction to the NPPL Pilot's License syllabus and includes 3 hours dual flying tuition. Each hour flying will be accompanied by the necessary groundschool and briefings. 3 days, with 3 hours in the air. 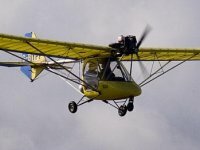 This voucher entitles the holder to an introduction to the NPPL Pilot's License syllabus and includes 3 hours dual flying tuition in a weightshift microlight. Each hour flying will be accompanied by the necessary groundschool and briefings. Get a great introduction to flying with the 'Friendly Experts'. 2 flying lessons, approx 45mins each, with a landing in between at Goodwood. All the hours count towards the Private Pilot's Licence (PPL) course. 3 hours, with 90 minutes in the air. 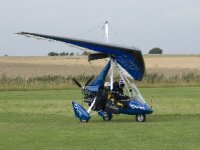 An introduction to the world of Microlighting. 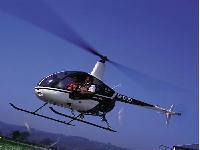 We would recommend that the flying time is split into two lessons with a gap in between. Lessons include pre and post flight briefing.Includes Pilot Log Book. 4 hours, with 2 hours in the air. Two of you will get a great introduction to flying with the 'Friendly Experts'. 2 flying lessons, approx 30mins each, with a landing in between at a local airfield. All the hours count towards the Private Pilot's Licence (PPL) course. 3 hours, with 60 minutes in the air.